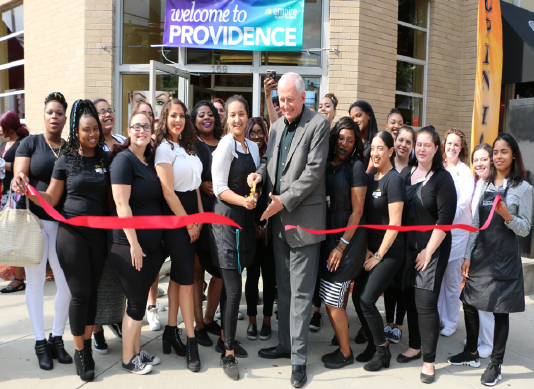 A special Grand Opening celebration highlighted education, summer trends, salon partnerships and local charities. 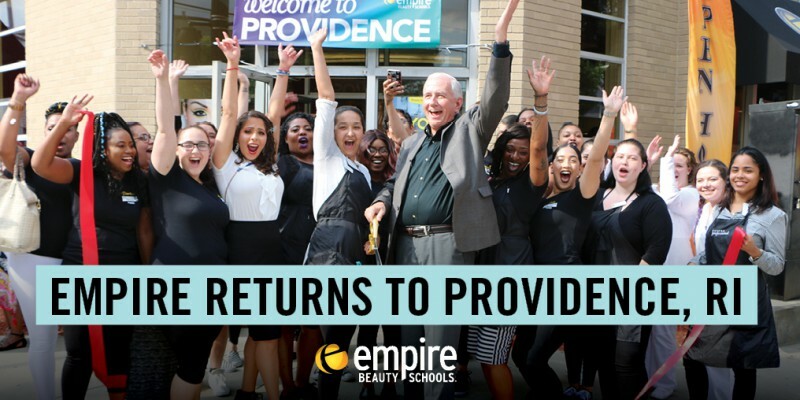 Empire Chairman and CEO, Frank Schoeneman met with students, graduates, salons partners and staff at the event. 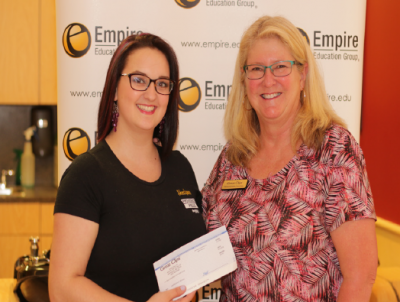 He also presented local anti-domestic violence program Sojourner House with a $1,000 donation. 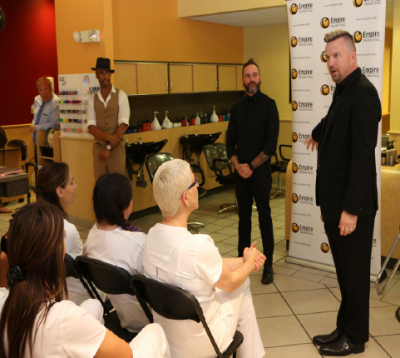 Empire’s Education Team presented easy summer hairstyles with tips and tricks to students and guests. 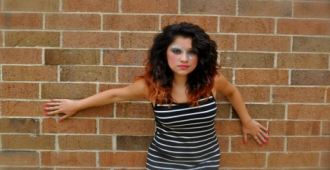 Current students highlighted their skills with a Summer Fantasy Showcase competition. 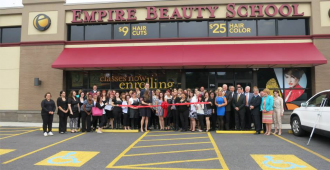 Great Clips awarded a $250 scholarship to a student, and the day wrapped up with an official ribbon cutting outside the campus!